The Labuan International Business and Financial Centre (Labuan IBFC) was established in 1990 as a route to economic growth. It was envisaged as a centre that would complement the activities of the domestic Malaysian financial market in Kuala Lumpur. The sector has now become fundamental to the Labuan economy and hugely important to Malaysia generally. As Malaysia enhances its trade and investment linkages with the region and other parts of the world, the financial services sector has a crucial role to play in supporting the expansion of Malaysian corporations, intermediating surplus funds from the region to productive investments, and facilitating cross-border capital flows. As individual wealth grows in the region, increasing consumer demand from a larger middle-income population has inspired a raft of more sophisticated and comprehensive wealth management services. Beginning life as an ‘offshore’ centre, Labuan IBFC now identifies itself as a ‘midshore’ financial centre, providing the perfect balance between client confidentiality and stringent regulatory requirements. It is the only international business and financial centre servicing Asia Pacific, and sees itself as the perfect complement to the established financial centres in Asia Pacific, such as Singapore and Hong Kong. He acknowledges the importance of stalwart centres like Hong Kong and Singapore in the global financial arena and therefore is not trying to compete with these established titans of finance.Rather, Labuan IBFC wants to offer a more cost-efficient place to do business in the region and aims to identify gaps in the offerings from the established centres that it can fill. For example, Labuan IBFC can offer a more cost-efficient place for back office services while also providing more specialist solutions that other IFCs do not provide. In fact, Labuan IBFC is the only common law jurisdiction in the ASEAN region to offer private foundations – a civil law structure – in both the conventional and Islamic space, a novel concept for the region. The Labuan Islamic Financial Services and Securities Act 2010 – the world’s first omnibus legislation governing all Shariah-compliant businesses in an international business and financial centre – provides a greater degree of comfort and certainty to Islamic businesses and investors as it covers every aspect of Shariah-compliant financial services. All Labuan structures, including its wealth management solutions, are available in Shariah-compliant formats, giving Labuan IBFC its unique position in Asia. According to Mr Mah, the Islamic wealth management sector is still vastly untapped and Labuan plans to leverage on this. Labuan IBFC has embarked on market development initiatives to enhance its Islamic finance business through the issuance of Shariah resolution on the Labuan captive takaful as well as developing a framework for the Labuan international waqf foundation. But more generally business is growing in Labuan IBFC. There are now 209 insurance and insurance-related companies with over US$1.4 billion flowing through these companies. There are 374 leasing companies with total assets in excess of US$51.8bn. Another growth area is the Labuan International Trading Company, trading in predominantly oil products, which emulates the Singapore Global Trader Programme, albeit a lower entry and operational threshold. Interestingly, the financial services sector did not experience any shrinkage at all during the global recession while other IFCs have seen a significant drop in the number of incorporations. “This had not happened for Labuan IBFC. While the West has been engulfed in the tumultuous years of the downturn. Labuan IBFC has been quietly and confidently growing. And there is a reason for this growth,” Mah said. Labuan IBFC is a very cost-effective, substance enabling jurisdiction. Transparency is a number one concern, the fact you can come to Labuan and create substance confidently. “We don’t offer shelf companies, we never offered bearer shares and as such, we always look substantive growth and that has been eight and 10 per cent.” Mr Mah elaborates. Part of the centre’s strategy has been to work alongside Hong Kong and Singapore as a complementary financial centre, as opposed to trying to compete with such well-established centres. 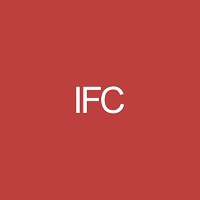 Like IFCs around the world, Labuan IBFC has been subject to international regulatory demands. “But we have never had a problem with regulatory demands – right from the start we had a lot of restrictions in place, we have never permitted bearer shares, we have never allowed cash transactions. We like continual growth – we are not looking for spikes in growth. We could have chosen the easiest playing field but we didn’t do that and so we welcome the international regulations. “Our mantra has always been – we welcome your business so long as you comply with international regulations and you have no problem with transparency,” Mr Mah explains. The need to conform to international regulatory demands has intensified and there is greater scrutiny by standard setting bodies, but Labuan IBFC remains committed to enhancing the banking and insurance regulations without jeopardising business growth. The demands for greater transparency amongst financial centres give Labuan IBFC the edge as it has always maintained a high regulatory and supervisory standard alongside its commitment to greater transparency. “With the recent Panama Papers debacle, IFCs have come under intensified scrutiny. To ensure our good reputation, it is imperative that we are committed to the global standards and requirements on transparency and exchange of information. “Undoubtedly, some IFCs will have to alter the way they have been doing business in light of the ever-increasing media and political attention IFCs have received but this isn’t necessarily a bad thing for the industry. In a way, this current environment makes Labuan IBFC stand out as one of the well-regulated centres. “The fallout from the Panama Papers will cement the demand for greater transparency. It has the makings of changing the way traditional islands states that are offshore centres do business; it will perhaps make offshore centres more mainstream. And these legitimate uses of Labuan IBFC include providing synergies for cooperation and financial linkages in the region, particularly amongst the ASEAN countries. As a well-regulated and vibrant international business and financial centre with a wide range of conventional and Islamic financial solutions, the Labuan IBFC possesses great potential to be a regional centre serving the financial needs of ASEAN and the greater Asia Pacific region. It is also well-positioned to provide further business opportunities not only to Malaysian entities but also to those from other parts of the world. The main aim of the Labuan IBFC is to maintain its steady growth. With the immense funding requirements of ASEAN, particularly for large investment projects and infrastructure development, greater financial integration will facilitate channelling a part of the region’s surplus towards productive investment opportunities in other parts of region. More than 70 per cent of companies working out of Labuan IBFC originate from the Asia Pacific region, so the intention of the midshore jurisdiction going forward is to continue to focus its attention on that region.